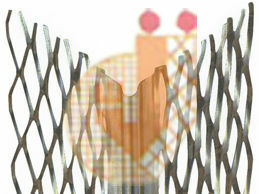 Expanded Metal manufactured by slitting and stretching the material in one motion leaving a diamond shaped opening. 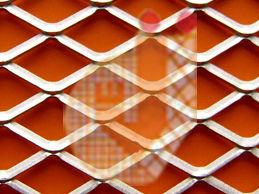 Expanded Metal is widely used where rigidity, strength, light weight, & free passage of light & air is required. 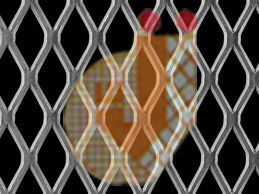 Used in Reinforcing material in Constructions, Air or Liquid Intake Screens, Architectural Designs etc .It is available in piece and varied size with choice of mesh/strand/gauge/sheet or thickness. It is also used in High Tension Power & Oil RigsWalkways, Boiler, Machinery Plate,Form, Chemical Industry, Bridges, Staircases, Racks,Partitionetc. Expanded Metal Corner Bead serves as a reinforcement to plaster for a impact resistant & anti-bumping finish. Metal Gratings are also made in Expanded Metal for Walk or drive ways, Security Fencing & Boundary, Furniture Benches & Racks, Interior etc.